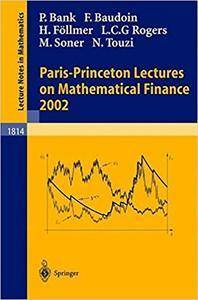 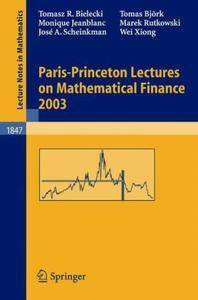 Tomasz R. Bielecki, Tomas Björk, Monique Jeanblanc, "Paris-Princeton Lectures on Mathematical Finance 2003"
Peter Bank, Fabrice Baudoin, Hans Föllmer, "Paris-Princeton Lectures on Mathematical Finance 2002"
This volume contains fourteen papers that were presented at the 2016 Annual Meeting of the Canadian Society for History and Philosophy of Mathematics/La Société Canadienne d’Histoire et de Philosophie des Mathématiques, held at the University of Calgary in Alberta, Canada. 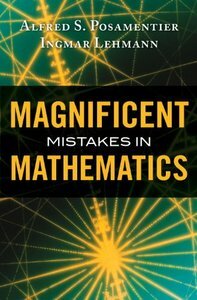 Imagine mathematics, imagine with the help of mathematics, imagine new worlds, new geometries, new forms. 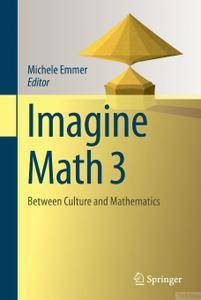 This volume in the series “Imagine Math” casts light on what is new and interesting in the relationships between mathematics, imagination and culture. 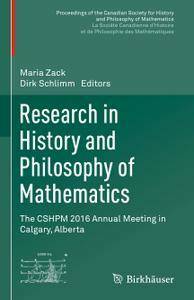 The book opens by examining the connections between modern and contemporary art and mathematics, including Linda D. Henderson’s contribution.